WHAT IS A VEHICLE IDENTIFICATION NUMBER (VIN)? This key blade can be supplied cut to code, cut to VIN or cut to the vehicle's door lock. Note the Renault Dealer is not willing to come to your house to program a new keycard and its required to take vehicle to them. If you wish to to take to main dealer using a towing service its best to order a All Keys Lost Situations Renault Key Code With Optional key Cut keyblade ot get in and release the emergency parking brake to make it easier. I Lost My Key Card and cant get in to my car. what can i do ? 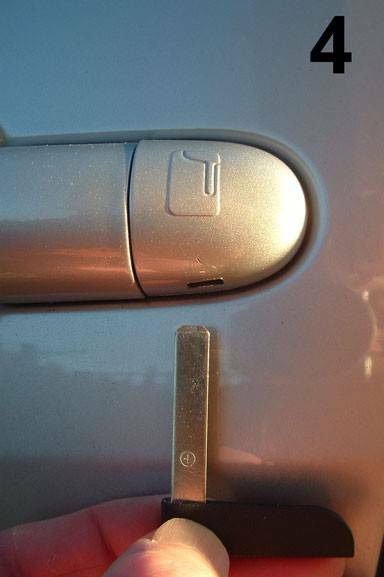 All renault cars have a emergency key blade in the the keycard. We can cut and post a new key blade for you to get back in Also we have diy kits where you can program a new keycard on selected models yourself. I lost my main keycard and my spare is not starting the car. how to get a replacement without towing car to dealer ? I Lost one of my cards and im worried. How to solve this ? I Lost my keycard but still have the key blade to get in via passenger side door. How to get a new keycard ? back in your car within less than 15 minutes of arriving at your car. We Can Solve All keys Lost issues and guarantee their will be no damage to your car. Even if you have lost your key card we can gain entry and reprogram a brand new key card without any damage to the car, We are reliable, friendly, and competitively priced, which we believe makes us excellent value for money. Is it Possible to Program a Used keycard again on another car ? All keycards have a Transponder chip and these are known as One Time Programmable OTP.Once programmed the chip is locked and can only be programmed to the same car it came from and not on other cars. Why is my Renault key card not lock or unlock my car? Why is my Renault key card not starting my car? Your key card may have been damaged by dropped on the floor to many times or from being squashed in your pocket or handbag. The Transponder chip is soldered on the PCB inside the card and one of the legs can become loose if the card is bent or dropped and the chip itself come loose. The car can start some times and others times will say keycard not detected and will need to replaced. Why is my Renault dashboard showing Card Not Detected message? Can you post me a new key card? We have Self program kits for some models and can send a DIY programmer and Blank Keycard for self programming. For all other models we need to be inside the car to be able to program a replacement key card. 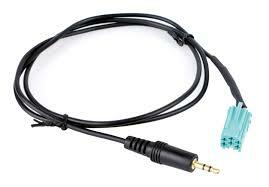 All vehicles since 1995 have a board OBD port located inside the car. We need to plug our cable in this port to be able to program key card or do diagnostics work. What is an after market key card and Warranty Period ? Aftermarket key cards are the key cards made and designed for Renault, but produced by companies other than the manufacturer and often allow you to make big saving compared to OEM key cards. Aftermarket card producing companies are in China and Europe We stock cards made in Europe as they have been tested by us and we can offer 3 Months Warranty on non OEM Cards12 Months Warranty on all OEM Original Cards key cards. Which Renault models do you supply & Program Keycards ? Do I need a new key card or a new card reader and can you replace them ? Yes we can supply and fit a replacement card reader however confirm you get the message below to confirm the card reader is at fault and not your keycard. 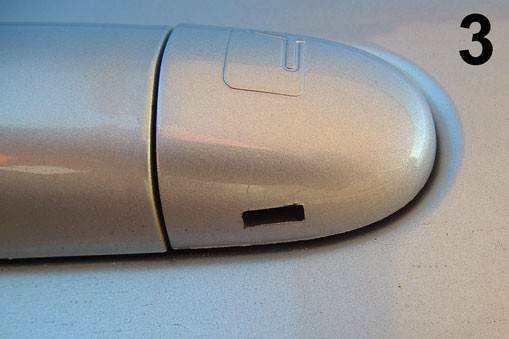 If your card reader is faulty, your car will display a "electric fault - check card reader" message on the dashboard. 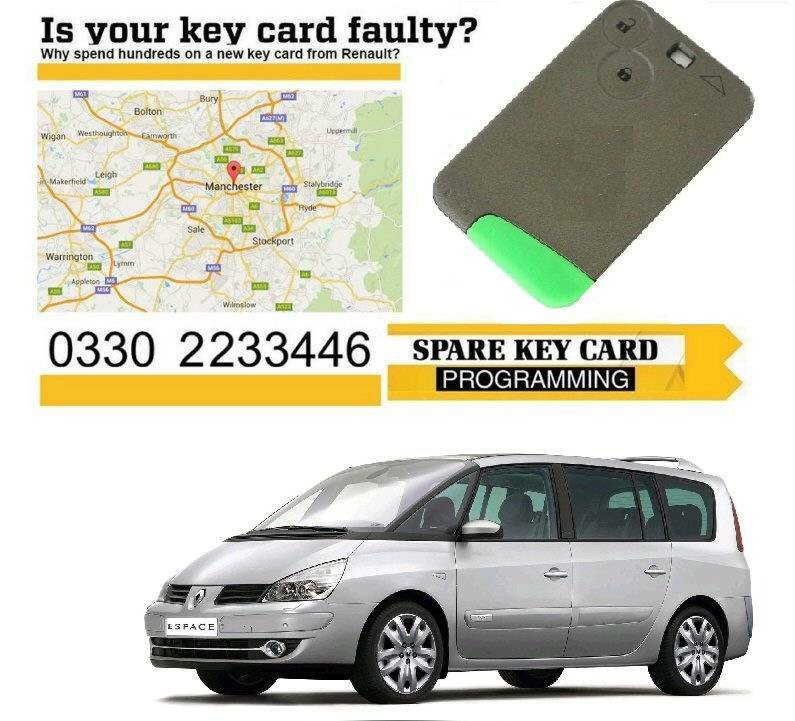 If your key card develops a fault the car will display a "card not detected" message on the dashboard. How long does it take to supply & program a new key card at my location ? We can do same day supply and program and get you back on the road. What if I don't have a working key card? 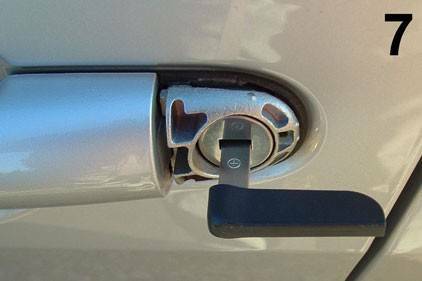 We can unlock your Renault using the emergency lock via passenger side if you have an existing blade cut and proceed to programming a new key card for you within minutes of arrival We will need to see a proof of ownership of the car and we will need to gain access to vehicle. Can I open my Renault with a keycard that does not open or close via button presses on the key card? Yes, your key card has a pull out section which reveals an emergency key. The emergency lock is on the front passenger door,. on the rear edge of the handle there is a plastic cover with a key symbol on it. You need to remove it to reveal the lock. then insert the key blade and turn anticlockwise to open and clockwise to lock. What if my car battery is dead and dashboard is not lighting up now ? Our team always carry jump leads and are more than happy to power up the battery and program new key cards and start your car and leave it running to charge the cars battery for you. Do I get any kind of warranty with your key card? Yes, you will receive a 12 months warranty when buying a new key card from us and can extend to 2 years when order online and choose the extended warranty option. Note for a replacement you would need to travel to us for the warranty but for a small cost we can send an Engineer out to you. With the Extended Warranty option we can send an engineer out to your location within 2 Years without an extra call out fees. What is an OEM key card? How can I pay you for your services ? We take cash and card payments online and in person using CHIP and PIN You can book and order online or via Phone on 0330 2233446. You can make a payment once the work is completed. Do you offer deals on purchasing more than 1 key card? How Does the Warranty Work on the Keycards ? All keys have a transponder chip in side and this has a special ID number known as the transponder ID. We have a record of this number for every key we supply on file. You can post your keycard back to us and we can check it for any issue and repair and post back to you within 12 months of supplying with your purchase receipt. 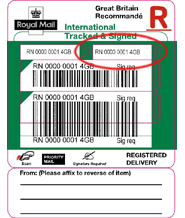 Note you need to send the card in the post for us examine and we cant send out an engineer to you without extra cost if you need an onsite warranty repair. The cost to send an engineer to repair your card can vary on location and for quote call us. Do you offer 12 month Warranty on Key Cards ? 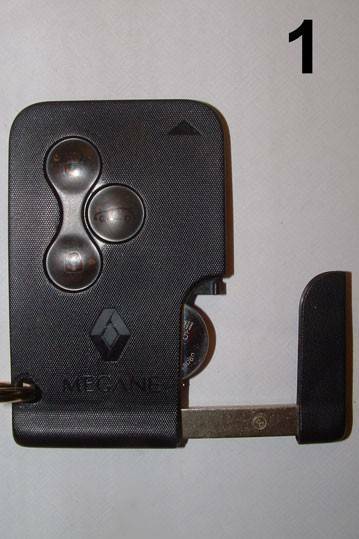 How to fix broken pins: Renault Megane / Laguna / Scenic and Espace key card readers~ save €500! Renault Laguna card or key immobiliser programming. 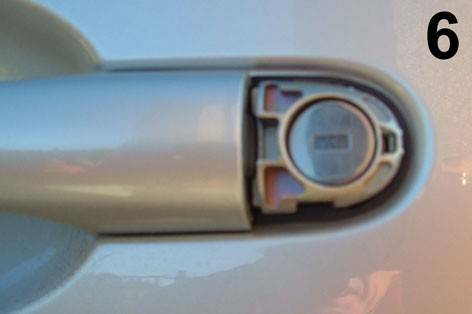 Why my Renault key card doesn't lock or unlock my car? 1 From When the Car is Sold New the Original Keycard often fails on average of 5 years of usage. It is a normal wear and tear, the micro switch that are under the buttons you press to open close the doors can come loose over time. 2 Another failure can be the part where the battery connects the terminals and are not connecting unless you squash the part where the key blade goes in allowing the battery contacts to make connection allowing the remote to work. 3 Your car battery if low or flat will not allow the buttons to work on the remote till you put charge in the car battery. Why my Renault key card doesn't start my car? Your key card may have been damaged, dropped on the floor to many time or maybe your have squashed it. The circuit board and the coil inside of the card are very fragile on cheap cards used by many Suppliers who are not Renault Specialist and have Orignal and Super Hight uality Aftermarkt cards. Why is my Renault showing Card Not Detected message? This message means that your car's on board computer can not communicate with the key card and therefore can not detect it. Do I need a new key card or a new card reader? If your card reader is faulty, your car will display a "electric fault - check card reader" message on the dashboard. 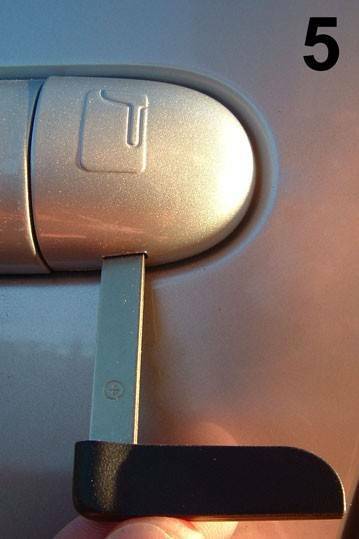 If your key card develops a fault the car will display a "card not detected" message on the dashboard. Either Way don't worry as its very rare to get a reader issue unless you used the butter knife trick to emergency start the car very often. How long does it take to program a new key card? It usually takes 15 Minutes, after gaining access to your car we connect your on board computer to one of our Specialist diagnostic laptops and extract all required codes to program your new keycards. We will need to see a proof of ownership of the car and we will need to gain access to it. We can unlock your Renault using the emergency lock and proceed to programming a new key card. Can I open my Renault without a working key card? Yes, your key card has a pull out section which reveals an emergency key. The emergency lock is on the front passenger door,. on the rear edge of the handle there is a plastic cover with a key symbol on it. You need to remove it to reveal the lock. As Pic 1 shows this is also the location of your card battery, If you are changing the card battery avoid skin contact with the battery as moisture/oils transferred to the battery can cause problems within the keycard . 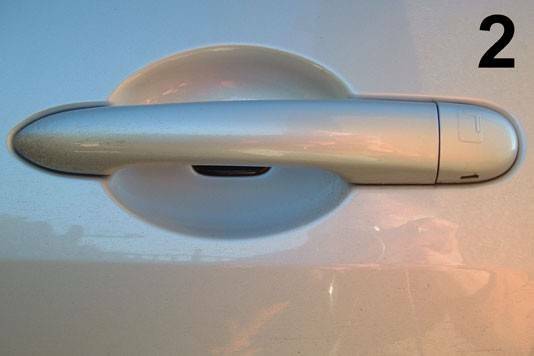 Remove the emergency key and replace the door handle cover by just gently pressing it in place. Ensure the card battery is still in place before gently slotting the emergency key into the card. What if my battery is dead? Usually there is enough power in the battery to program a new key car, but the car won't start. Will I get a warranty with your key card? Yes, you will receive a 12 months warranty when buying a new key card from us. Do you program keys for other car makes? Which Renault models do you cover? What is an after market key card? Aftermarket key cards are the key cards made and designed for Renault, but produced by companies other than the manufacturer. 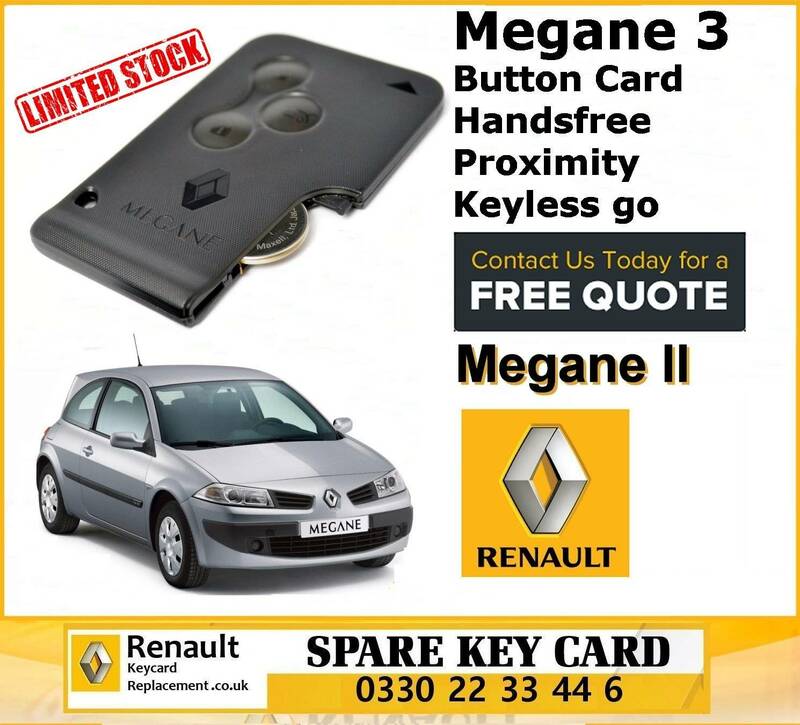 It is a genuine key card, manufactured by Renault, OEM means Original Equipment Manufactured. Do you offer and deals on key cards? 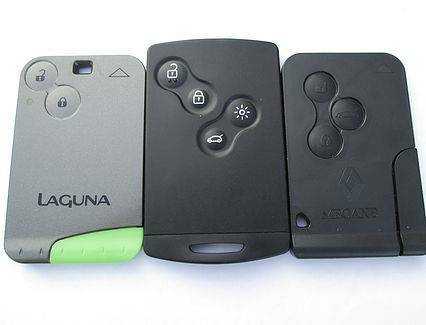 Once in your car and already at your location we can offer you the Second Keycard often at Cost price for many models.